Join the Indies First Movement Today! 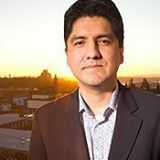 Sherman Alexie and the American Booksellers Association are working together to promote Indies First, where book authors are encouraged to work a day at an independent bookstore AND place the indie bookseller’s buy button on their book page (above buy buttons for online booksellers or others). Now is the time to be a superhero for independent bookstores. I want all of us (you and you and especially you) to spend an amazing day hand-selling books at your local independent bookstore on Small Business Saturday (that’s the Saturday after Thanksgiving, November 30 this year, so you know it’s a huge weekend for everyone who, you know, wants to make a living). I signed up to work with Moby Dickens. Will you sign up to work with your local indie bookseller? Let’s get out there and work to save the local bookstores we’ve come to love! Do it today!